… Next Guardians of Hades book coming soon! A god who sounds like he has a lot of issues but for good/bad reason. The trust he has on humans is not a good one but one night after a fight of protecting his gate everything changes when meeting a human who was being attacked in the train on the way to his home her name is aiko. The enemy tried to use is issues against his family and humans to open the gate but he doesn’t with it alone. 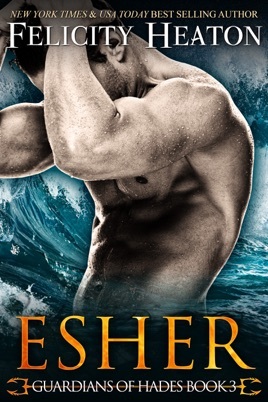 Great story esher gets challenged even by his father hades. I can’t wait for the other brothers stories!!! Loving this series!!!! The fates being as fickle as they can be decide to gift him one as a mate? Is Aiko human or something more? We get a ton of action in this story and steamy too.